Don’t be put off by the melodic but safe lo-fi rock of lead single ‘Two Song Slot’ because Bromide at their best, as on ‘Postcard From Leipzig’ (the amazing guitar solo or the squall of feedback leading into the second verse) or opener ‘Tale To Tell’ (as incendiary an introduction as any) are still a formidable proposition. Those familiar with The Men’s New Moon or Crazy Horse at their wildest will know the drill. From the garage end of the Paisley Underground spectrum in sound, most songs around the three minute mark drenched in natural reverb and feedback as if recorded in the cheapest studio available. Charged, frenetic and at times too fast, I Woke Up can be a thrilling ride at times. Standout track, a cover of Patti Smith’s ‘Dancing Barefoot’, at five minutes the longest track, recorded loud, a further nod stylistically to New Moon, one-note solos straight from the Neil Young book of keeping it simple, while the frantic spoken word segment means it has everything from here, there and every Parquet Courts record in between. Being the band’s first album since 2012’s Some Electric Sometime, itself the band’s first full band outing since 1997, they are not a group to rush things, preferring to let their trademark harmonies brew (bassist Hugo Wilkinson is now a permanent member). Singer Simon Berridge’s voice is maturing nicely, a Tim Burgess lilt as he struggles to be heard during noisier segments mean Bromide are growing into the band I always wanted The Charlatans to be. Refreshingly in a London scene often distracted with armchair politics, the confessional tone throughout I Woke Up is selfless, fortifying and elsewhere there is a nod to the biopic Mr Turner although, conversely, at times it’s their most direct release yet, musically. 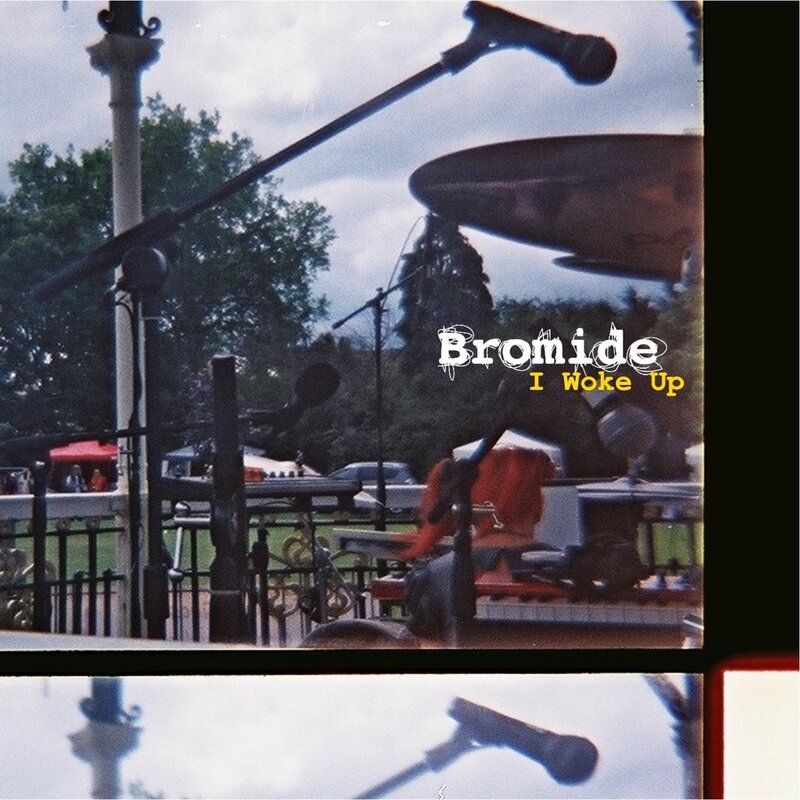 Whether it’s the pumped up Belle & Sebastian/Husker Du of ‘I’ll Never Learn’ or the lush dreamy Americana of ‘The Guide’ Bromide have that rare ability to combine riffs and melodies. Elsewhere the apple never falls far from the tree. The Dinosaur Jr musical touchstones are ever present while the band’s perhaps natural drift towards a poppy/west coast alt.country vibe on ‘Ancient Rome’ is more like The Thrills and the clean Strokes influenced instrumental ‘Futurist Shore Leave’ is filler, both tracks perhaps betraying the band’s current loves. The descending arpeggios, however, are something of a theme for the band which comes in handy when you name your album after the closing track so there is a certain musical given on ‘I Woke Up’, a final flourish with the obligatory drawn out guitar fest. I Woke Up the album certainly has its moments and only its predictability, that’s not to say lack of depth, can be a little frustrating but on their best album to date and, one suspects, with plenty more to offer, they are ageing like a fine malt whisky. I Woke Up is released on 25th May through Scratchy Records. A very considered and encouraging review, Steve. As another long-time fan who is really looking forward to this album’s release (and at the risk of looking like a pedantic ‘anorak’), I just want to take you to task for overlooking its most recent predecessor, which is the wonderful ‘I Remember’ from 2015, i.e. not 2012’s ‘Some Electric Sometime’.